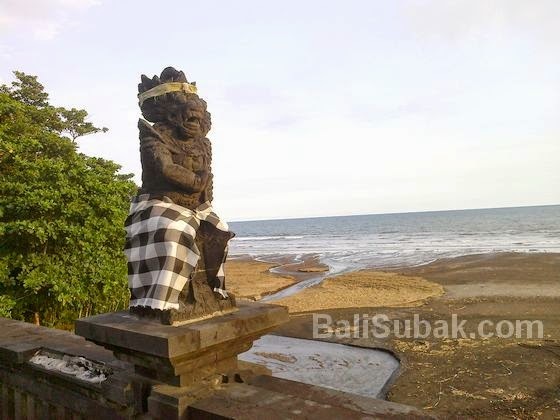 Rambutsiwi beach is known by many people because of the temple which is located on the beach. The temple is named Pura Rambutsiwi Temple, the temple which is quite spacious and has a very high historical value to the development of Hinduism in Bali. 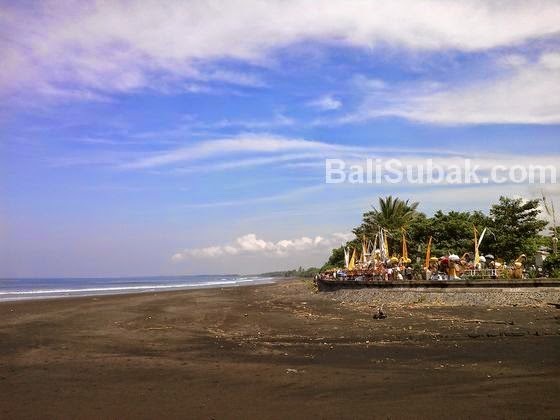 Rambutsiwi beach with black sand beach is very wide. The beach is a location for sea sand dredging by the miners. But this time the sea sand mining activities have been banned by the local government. Rambutsiwi beach is also the location for Melasti ritual by local residents. 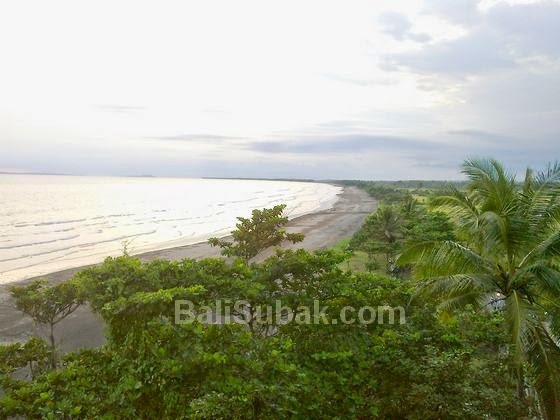 Each day, beach Rambutisiwi always quiet and rarely are people who are activity. That's because along the coast there is no settlement. No fisherman who indulge. Only certain moments beach is visited by people. Rambutsiwi beach was quiet because this beach is very wide area of rice fields. Rambutsiwi temple located on this beach. Temple This temple became a very vital for the island of Bali. Because of this temple is one part of the spiritual fortress that protects the island from the negative influences that come from the sea. Pura Rambutsiwi has a very long history, which is associated with a priest from Java, come to Bali to spread the teachings of the Hindu religion and the way of life better. Rambutsiwi beach becomes a place to carry out the ritual melasti by local residents. Three days before Nyepi Day, this beach will be crowded by residents and merchants who sell. When the ritual of Melasti Beach Rambutsiwi be a nice location to carry out the ritual. Because it was very nice, close to the temple, with full facilities to carry out the ritual. Although quiet and deserted on weekdays, the beach has become a great place for young couples to meet. The beach is a place of recreation for families who want the peace of the natural beauty. Black sand beach in Rambutsiwi the target of illegal miners. Black sand into raw materials for making ornaments on the building of temples and houses. The black sand is the best sand for making ornaments. Black color makes this a very nice sand, with a texture that is not too soft and not too rough, making sand at beach Rambutsiwi most suitable for raw material for making ornaments in the temple.